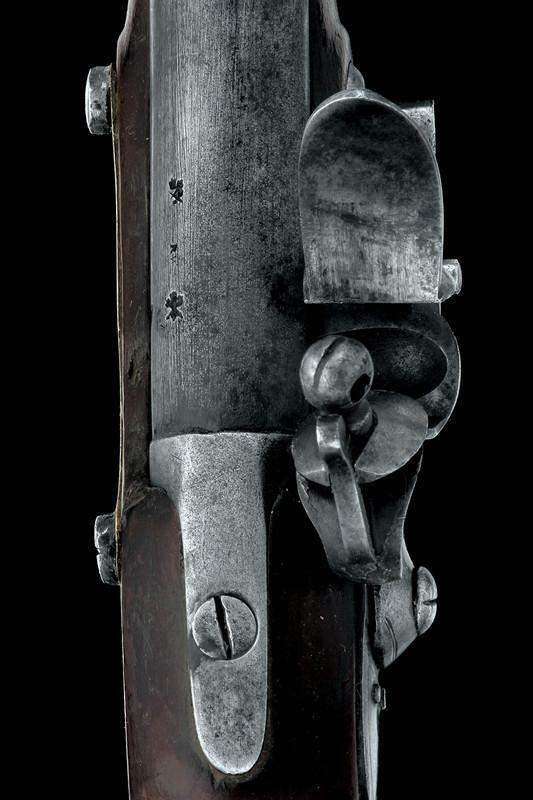 Round, rifled, sighted barrel with two stamps at the base, with typical side bayonet link, 15 mm cal. 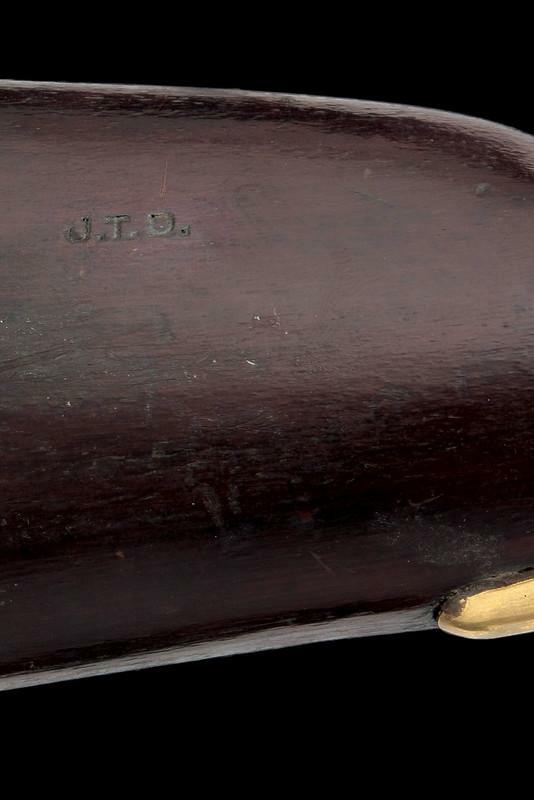 ; lock with double outline at the borders, with the monogram "P I°" (as in Peter I, 1823-1828) underneath the imperial crown; wooden full stock (minor restaurations), with brass mounts, oval shield and patch-box, the stock marked "J.T.D." 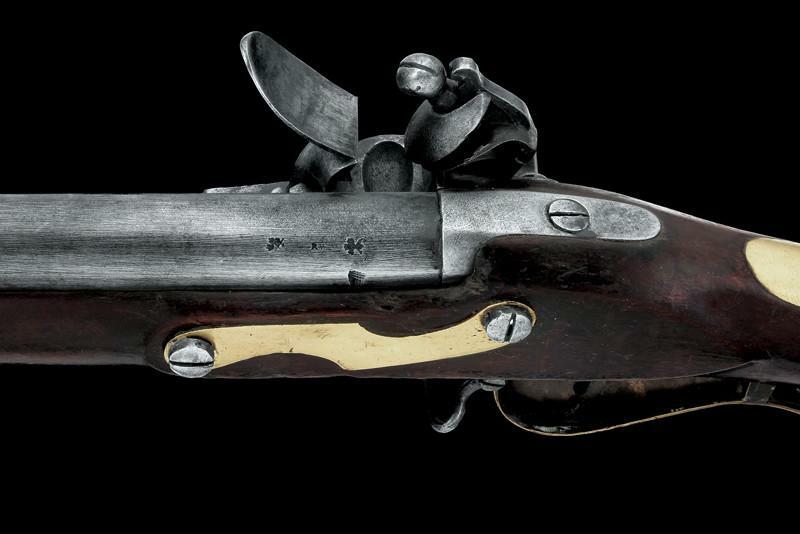 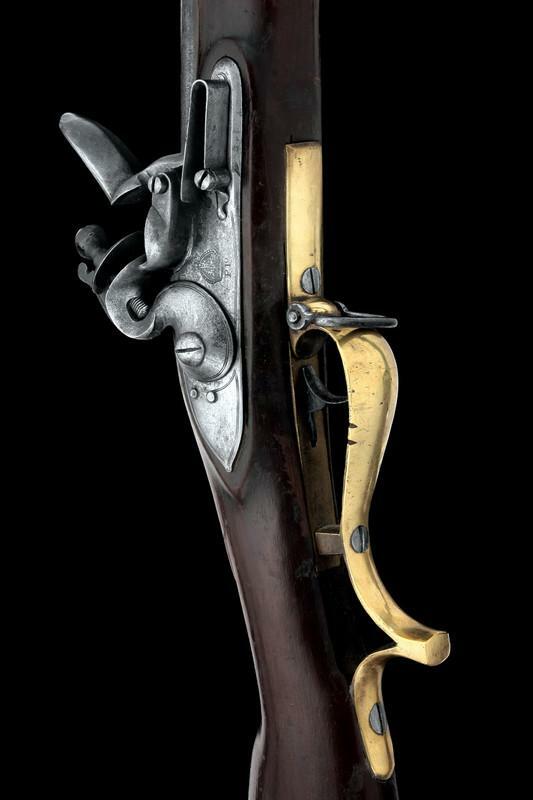 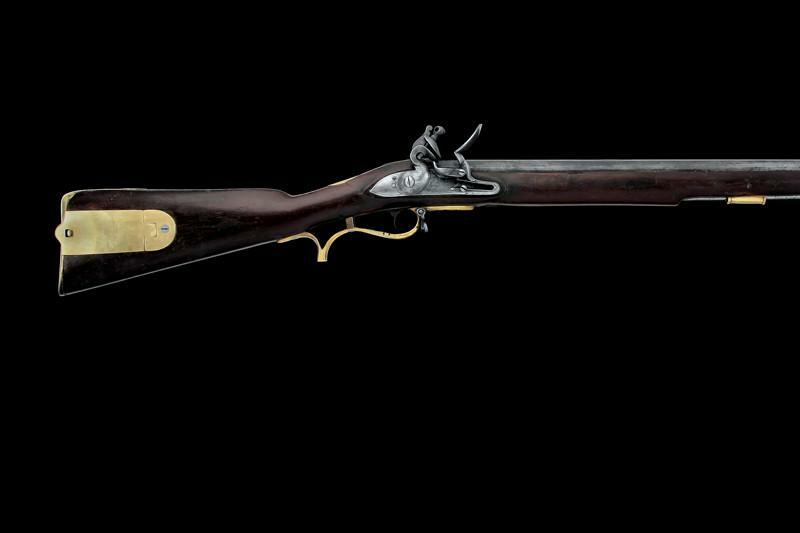 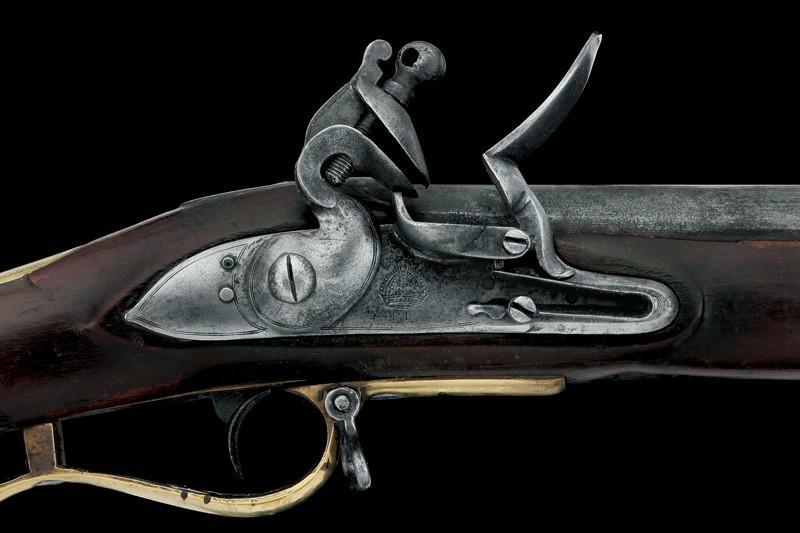 This is probably the last example of the famous "Brasilian Baker Rifle"; the Baker Rifle is the first military British rifle manufactured in a big number, and is used for the first time in the battle of Obidos, in 1809, during the Wellington Campaign against the French invaders; as soon as Brazil declares its independence and Peter I becomes emperor, a special military unit was to be equipped with this rifle but only a small lot of probably twenty-five pieces is manufactured. 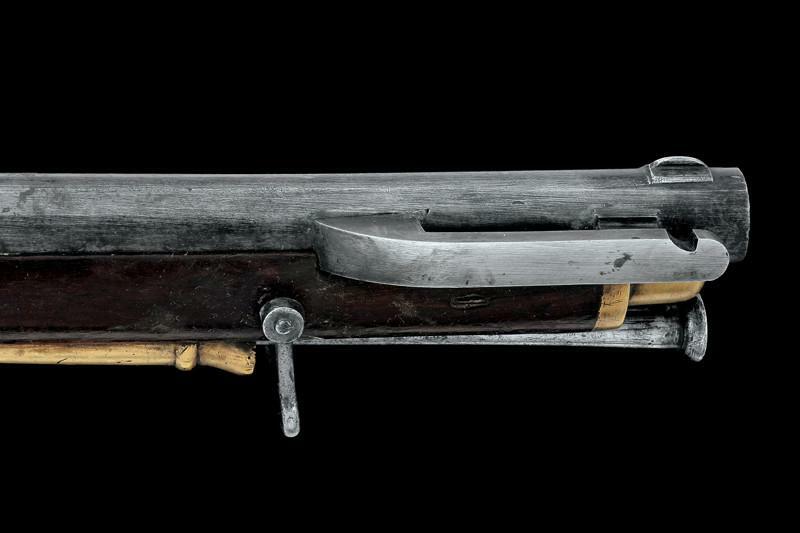 These few rifles were used by the emperor's personal guard and a few infantry sharpshooters.